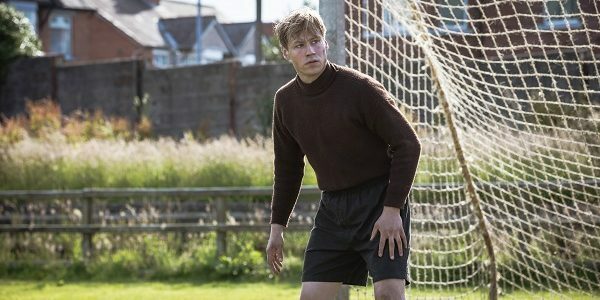 The Keeper tells the extraordinary true story of Bert Trautmann, a German solider and PoW who against a backdrop of British post-war protest and prejudice, became a British footballing icon. Spotted by the manager of the local football team at his PoW camp near Manchester, Bert is allowed to leave camp to play in goal for the team and falls in love with Margaret, the daughter of his coach. Bert’s heroics in goal are noticed by Manchester City and he signs for the club. Struggling for acceptance by those who dismiss him as the enemy, he eventually wins over even his harshest opponents by winning the 1956 FA Cup Final, playing on with a broken neck to secure victory. But fate will soon twist the knife for Bert and Margaret, when their love and loyalty to each other is put to the ultimate test.